New Year partying is over and most of us are now faced with the painstaking process of getting back in shape and eliminating unnecessary calories and toxins. There are so many studies showing that during the holidays our body tends to get a huge amount of calories. Just to illustrate, at New Year or the Christmas Eve, an average person drinks around 4,000 calories and eats as much as 7,000! You may now say to yourself, “well, what the heck, it’s not too much”, and by saying so, you just prove how much you’re not familiar with the fact (despite so many newspaper articles flashing before your very eyes at almost every news web site) that the normal DAILY intake is around 3,000 calories!!! We understand you, we really do. It’s hard to resist all the treats laid before you day after day – the fantastic breakfast, gorgeous dinner, and in the meantime, just for the snack, you are “forced” to drink several glasses of mulled wine and brandy, or napping while watching the Hugh Grant’s new year movie flicks. Just like the above web sites, we will now give you a couple of hints on how you can eliminate the surplus weight and get back in shape from before the holidays. We don’t intend to make you hate the holidays by forcing you to take some painful gym exercises or embark on a popular Hollywood diet. What we’re planning to do here is to make this monotonous process as interesting and light as possible. We will insist on making full use of natural resources and plenty of amenities that Belgrade can offer you (you will, unfortunately, have to work on your diet, ultimately). If you’re planning to stay in Belgrade for a couple of days, we would definitely advise you to take same time and get to Ada Ciganlija beach, a natural oasis near the city centre, and make at least one circle around it. The round is 7km long and is quite long enough to make you get back to “pre-holiday” shape in no time. You can walk, jog, ride a bicycle, rollerblades, it’s up to you, and you’ll definitely enjoy it. You should make use of these unusual weather conditions and enjoy the natural beauty of Belgrade, something more typical for spring time. The city authorities have put significant effort and prepared as many as 12 outdoor skating rinks, however, all those who are fond of this winter activity are left with no opportunity to enjoy it due to very high temperature for this time of the year. Still, once the temperature goes down to zero, you can start enjoying the magic on ice. Ice skating is very practical to help you get back in shape, and if you have a partner for skating, it’s even better. 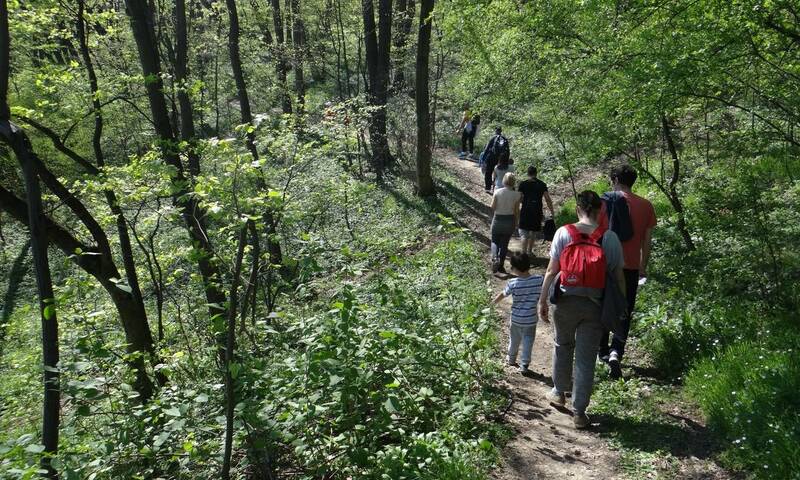 Belgrade forests are always the best option for a healthy stay in nature, regardless of the season and weather conditions. You can choose Kosutnjak, Sumice or perhaps Avala, it’s entirely up to you and there’s no chance of making it wrong. Not only will you enjoy the fresh air, but you’ll also be engaged in the perfect activity for getting back in shape and body detox. If you’re one of those guys who would never leave the streets and urban surrounding, Belgrade still has something to offer, even in these “extreme” circumstances. You can exercise by walking along the central city streets or by exploring the Kalemegdan fortress. Generally speaking, Belgrade has somewhat hilly terrain which can be an issue sometimes, but for the sake of exercising, walking up and down the hills is highly beneficial. Within a couple of days, you’ll be as fit as a fiddle, unless you keep on visiting taverns with traditional cuisine during these long walks. In which case, getting back in shape will have to wait. At the end, considering the positive effect on body detox and generally on weight reduction, we strongly recommend that you check out our web site, and especially the section Apartments with jacuzzi bathtub, and choose an apartment which offers not only the hydro-massage bathtub, but the sauna as well, where you, or in pair with your beloved one, can genuinely enjoy the process of getting back in shape.